The first thing that can be easily overlooked, is the need to transfer all of your existing records to reflect your new address. This used to require a trip to the post office, but guess what, the USPS now allows you to conveniently change your address online. Thankfully, you can also change you license online through Florida’s DMV website, while your at it, don’t forget to update your utility and credit card accounts. Be sure to make these changes up to two weeks in advance, trust me, as your friendly Clearwater Beach home seller, once your all moved in, you won’t think twice about an address change, because you’ll be too busy unpacking. It’s easy to wait until the last minute to book a moving truck or service, as a Clearwater Beach home seller, please resist the urge to wait until the very last moment. Before you even book a service, do your due diligence; check all of the available online resources, and read all of the reviews that you can find. Waiting until the last minute can mean the difference between keeping your items whole and opening boxes of broken items days or even weeks after you have already moved. Many of our clients moving locally and even some who’ve moved across the United states have really liked using a POD. Once you have found the moving service that meets your criteria, contact the service to discuss your needs. If on the other hand you plan on handling the move yourself, be sure to round up your family and friends for help well in advance. Even the best of friends need advance notice and motivation. Pack out-of-season clothing, shoes and items first, you won’t be using these items any time soon and they won’t be needed or missed for the time being. Begin wrapping the kitchen appliances that you use least. Use ziplock bags for important papers and smaller items. Carefully pack the bulk of your dishes, cups and silverware, if not all, paper or plastic plates and cups are great for this in between time. Use Plastic Containers or Bins for your “go-to” items, those belongings that you need easy access too. This includes toiletries, in-season clothing, shoes and other items. You will need three to four large boxes for each room, depending on the size of the room. Go ahead and start packing up the rest of the rooms, be sure to color code and identify the contents of each box by room name and/or family member’s name. Confirm your move with the moving service or family and friends. Confirm that your address has been successfully changed. Pack overnight bags for each family member, this will ensure that you have a change of clothes and all of the necessary items each person will need to get through the first day or night. This will allow you all to take a break and rest up, without having to dig through bins and boxes for the essentials. Head over to your new place and give it a nice, deep clean in preparation for your move. There will be tons of work ahead and you’ll appreciate the time that you took to ready your new home for your families arrival. Once every last item is packed, be sure to leave your sold home in the condition that you found it in. Leave the house freshly mopped and swept, remember this was your home and it’s great to give it some love on the way out. It’s a great idea, the night before you move, to pack some snacks and lunches, moving can be time consuming and it’s important to give yourself a time-out. Packing quick lunches and snacks make it easy to grab a bite on the go, and stay replenished and energized for the work ahead. 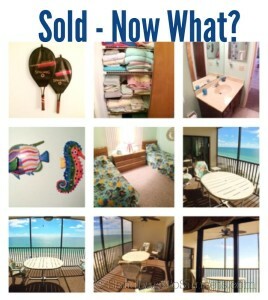 Congratulations fellow Clearwater Beach home seller, I encourage you to follow some of these tips to help you get started on planning your move. Best of luck and well wishes! 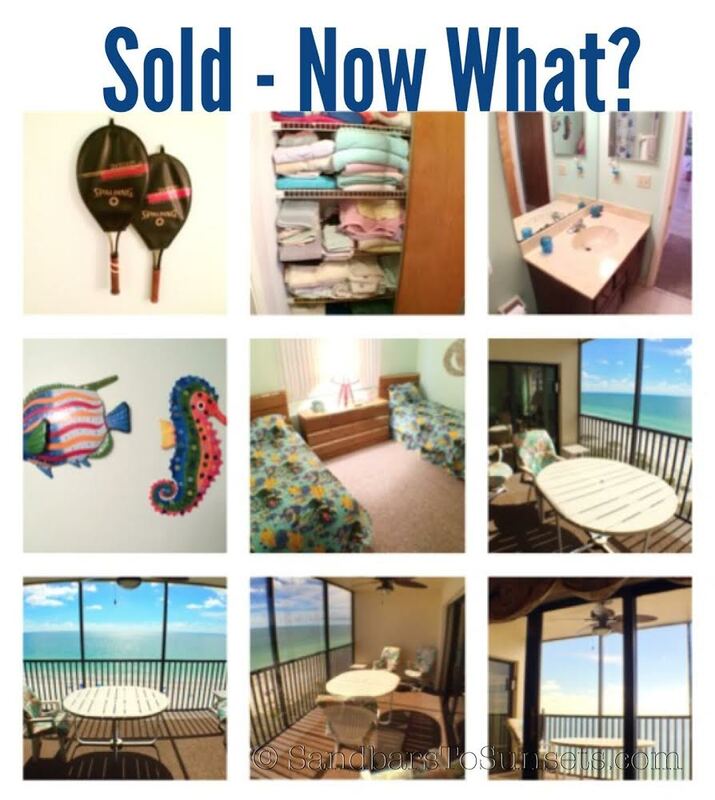 Remember, When you are ready to sell your Clearwater beach condo or home, contact Top Clearwater Beach Real Estate agents, Jack and Cyndee Haydon at 727-710-8036.